Elyn Saks first started noticing that something was wrong when she was 16. One day, and without reason, she suddenly left her classroom and started walking home. It turned into an agonizing journey in which she believed all the houses in her neighborhood were transmitting hostile and insulting messages directly into her brain. Five years later, while attending law school at Oxford, she experienced her first complete schizophrenic break. Saks struggled over the course of the next decade, but she came through thanks to medication, therapy, and the support of friends and family. I recently spoke to professor Saks to find out more about schizophrenia and what it's like to live with the condition. There are many misconceptions about the disorder, especially when it comes to what can be done to improve the quality of life for those who suffer from it. Photo via The Daily Trojan. Elyn Saks is an outspoken advocate for schizophrenia and mental health awareness. She is Associate Dean and Orrin B. Evans Professor of Law, Psychology and the Behavioral Sciences at the University of Southern California Gould Law School, and the author of her 2007 autobiography, The Center Cannot Hold: My Journey Through Madness. Recently, she gave a TED talk advocating compassion toward people with schizophrenia — a talk that's been viewed over 600,000 times. Saks has done yeoman's work getting the word out, arguing that there's no such thing as "schizophrenics," but rather, people who suffer from schizophrenia. The central goal of her work is to instill the idea that people with severe mental illness can attain tremendous benefits when given the right resources, allowing for increased autonomy and dignity. We started our conversation by discussing the nature of the condition itself. "Schizophrenia is classified as a psychotic disorder, and that means it involves being out of touch with reality," Saks told me. "To me, the best analogy of what it's like is that it's a waking nightmare, where you have all the bizarre images, the terrible things happening, and the utter terror — only with a nightmare you open your eyes and it goes away. No such luck with a psychotic episode." 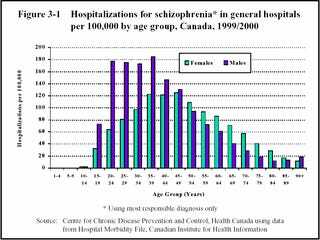 Indeed, schizophrenia is characterized by an inability to discern what is real and not real, to think clearly, have normal emotional responses, and act normally in social situations. Neuroscientists and psychologists aren't entirely sure what causes it, though links have been made to genetics, social factors (including early environment), and neurobiology. A recent study suggested it may develop during a short period of time during infancy. Scientists also know that its effects are sometimes caused or worsened by certain recreational and prescription drugs. Once it manifests — typically in in the teen years or young adulthood — schizophrenia elicits both positive and negative symptoms. "A positive symptom," says Saks, "are things that you have that you don't want, and negative symptoms are those things that you want but don't have." Positive symptoms include delusions, which become fixed in the mind, or false beliefs that don't respond to evidence. "Sometimes I have the delusion that I've killed hundreds of thousands of people with my thoughts, or that someone has set off a nuclear explosion in my brain," she told me. Hallucinations are another common positive symptom, though mostly auditory. Saks says she experiences the occasional visual hallucination, but not very often. Negative symptoms, on the other hand, include things like apathy, an inability to hold on to relationships, an inability to work, and so on. "Apart from the first two years of my illness I've been spared those malignant negative symptoms," she told me, "which in some ways are big part of the burden of what it means to have schizophrenia, which is just shutting down." Indeed, during the early phases or her schizophrenia, Saks spent hundreds of days in an institution for fear that she was unable to take care of herself. Schizophrenia is also characterized by disorganized thinking, along with the onset of loose and bizarre associations. Saks says it causes some people with schizophrenia to form "word salad," where words come out completely jumbled. "As an example," says Saks, "when I broke down during my first semester at law school I was saying to my classmates, ‘Are you having the same experience I am with the words jumping around the pages in our cases? I think we have to case the joint, but I don't believe in joints, but I do believe they hold your bodies together.'" Basically, says Saks, they're words that are connected, but they don't make any sense when put together. I asked Saks if she remembers her first episode. "Ahhh, I do, yeah," she replied with a sigh. "I actually had a psychotic episode when I was a teenager that resolved, but I didn't officially breakdown until I was 21 after I started having significant problems continuously." Her first episode happened when she was 16, five years before the full onset of schizophrenia. "I got up during the middle of class one day, and without telling anyone, I started to walk home — which was about five miles away — and I felt that the houses were starting to communicate with me and that they were sending me messages. I didn't hear any voices, and I thought they were putting thoughts inside my head, things like, ‘Walk, repent, you are special, you are especially bad.' Accompanying this were feelings of intense loathing and fear. That was the first experience of psychosis that I had." But it was not to be the last. Later, during her first year at Oxford, she started exhibiting symptoms indicative of depression and mild paranoia. Eventually, it developed into something more like a thought disorder than a mood disorder; the kinds of things characteristic with schizophrenia started to become characteristic with what Saks was experiencing. "I started to have intense and frequent delusions," she said, "I did not hallucinate much, but I was very confused, and exhibited chaotic and disorganized thinking." Later, when attending Yale Law School, she experienced an episode that found her singing on the roof of the library at midnight. Saks was then taken to the emergency room and tied down to a hospital bed. She would spend the next five months in a psychiatric ward. Over the course of the next several years, Saks was in a state of debilitating psychosis. She entered into analytic treatment, but was not on any medication. "And I probably should have been," she says. For ten years she refused to believe that she was suffering from a mental illness — a conviction that prevented her from taking her meds seriously. "I thought I could prove I wasn't really ill if I could get off the medication," she said to me. "Eventually my analyst in L.A. said, ‘You know, why don't you just stay on the meds and get on with your life. There are so many things that your life has to offer and you're spending most of your time in and out of the land of psychosis.' I resisted at first, but then I tried it — especially with the newer medications my life just started going much better." Prior to staying on her medication, Saks clung to the fantasy that everyone had the same "scary and weird thoughts," and that the only difference was that other people were better at hiding or managing it. "I wasn't mentally ill," she thought, "I was just socially maladroit." But once on the meds, her mind cleared: "And I thought, ‘Oh god, the other people have clear minds' and it made me realize I probably did have an illness. And the more I accepted that I had the illness the less it defined me — because when you're struggling with it all the time it's always front and center. But when you say to yourself, ‘Take the meds, go to therapy, and focus on love and work and all the other things that make up your day-to-day, that makes your life better." Given the severity of her symptoms, I asked Saks if it wasn't obvious to her when a psychotic episode was happening — especially after the diagnosis of schizophrenia. Why can't a person exhibiting symptoms just consciously sweep the irrational thoughts aside and recognize them as such — that they're nothing more than delusions? "Because you think what you're believing is true," she replied. "I used to know, beyond a shadow of a doubt, that — what other people would think was crazy — I thought was absolutely true, that I was privy to a special truth." But that said, Saks told me that experience with the disorder can help, especially when there are people around who can serve as "auxiliary egos" — people like therapists, partners, and friends. Essentially, anyone who can recognize when an episode is coming on. "My husband likes to say that psychosis is not like an on and off switch — it's more like a dimmer," she said. "At the far end of the switch — and I still experience this from time to time — I'll have a transient thought that I've killed people with my thoughts. When that happens I'll basically stand back and say, ‘Oh, Elyn, that's just your illness acting up, pay it no mind.'" Further along the spectrum, Saks says she often struggles in social settings — which makes it difficult for her to be around people for extended periods of time. "At the far end of the dimmer — the dark part — I'm stuck in the corner shaking for a week, but that hasn't happened in a decade," she said. Frustratingly, schizophrenia as a health condition is as neglected as it's misunderstood. People tend to get squeamish when it comes to mental illness, convincing themselves that it's not a wide scale problem, or that people who suffer from it are lost causes. At the same time, many people cling to outdated notions about the disorder. 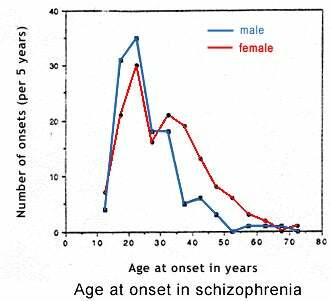 Indeed, schizophrenia is not as rare as some people think. It has been estimated that anywhere from 0.3 to 0.7 percent of the population is afflicted with it. For a country like the United States, that's anywhere from 940,000 to 2,200,000 people. And the costs are enormous, estimated at $62.7 billion per year in the U.S. alone. 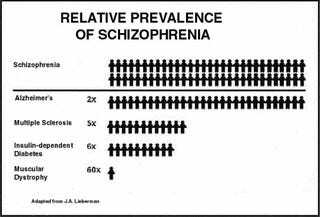 Yet, schizophrenia receives only a small fraction of the amount of medical research dollars that go into other serious diseases and disorders. It's also commonly mistaken for multiple personality disorder, what's now referred to as dissociative identity disorder (DID). These two conditions are distinct, though some crossover exists; DID patients sometimes exhibit psychotic symptoms. Also, both DID and schizophrenia can be triggered by traumatic experiences. But that's where the similarities end. Another common misconception about schizophrenia is that people who suffer from it are extremely violent. "And that's just not true," says Saks. "Most people with schizophrenia are less violent, but are more likely to be victimized." The big, violent folks, added Saks, tend to be teenage males and substance abusers. There's also a misconception that all people with schizophrenia can't hold down a job, and that they lose the ability to work in any kind of meaningful way. Or that they can't live independently, that they need some kind of supervised living arrangement. Like many other psychological disorders, schizophrenia follows along a spectrum in terms of its severity. While many people can become incapacitated by their symptoms, Saks argues that most of them could benefit from drugs and therapy. And indeed, Saks is convinced that there are more "high functioning" people with schizophrenia than is typically assumed. 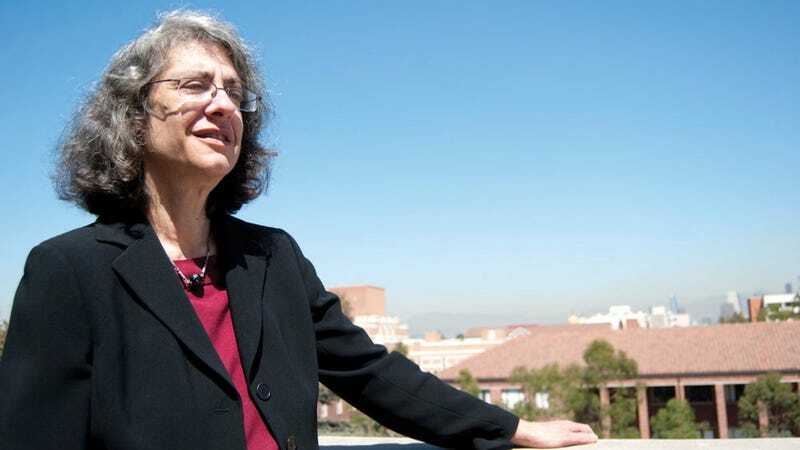 To that end, she, along with her colleagues at UCLA and USC, designed a study to recruit high functioning people with schizophrenia in the LA area. Specifically, they were looking to study professionals, a group that included MDs, PhD candidates, teachers, CEOs, and full-time students. "I mean, we got 20 subjects fairly quickly," she told me, "I started to suspect that I wasn't unique, that there were many other people like me. It would interesting to know what the stats are on how many people with schizophrenia are so-called "high functioning" professionals." Moreover, Saks is convinced that, with proper resources, nearly everyone can live up to their potential — regardless of their situation or status. "There are going to be some people who you do everything for and they still won't be able to thrive," she says, "But I think many more people can do better than we give them credit for — but instead, we prematurely tell people to lower their expectations." Indeed, antipsychotic medications have revolutionized the treatment of schizophrenia — and they work startling well. "A lot of people get on medication and they completely recover and never require therapy," says Saks. But there are some people who don't respond to medication — and that, she argues, is where therapy and social support could potentially help. "The best evidence with major mental illness shows that the most effective strategy is to use a combination of meds and a therapy for choice," says Saks. "For me, I know I need the therapy and the medication. I need both of them. If one of them were to go away I would probably be really compensated." Saks is currently in psychoanalytic treatment, where she attends sessions five days a week. And by doing so, she's going against the grain; conventional wisdom says psychoanalytic treatment shouldn't work for people with psychosis. But she's convinced it's helping. Saks told me about several aspects of psychoanalytic treatment that have been tremendously beneficial for her — and they're not typical things that psychoanalysts do. For example, because stress is particularly bad for psychiatric illnesses, Saks has been taught to identify her stressors and avoid them. Or cope with them at the very least. She has also learned to bolster her "observing ego" — that part of her brain which allows her to step back and observe her mind, feelings, and thoughts in order to understand them and not get swept up. "It's also a place where you can bring your thoughts," she says. "A lot of therapists have a rule where their patients cannot articulate their delusions or hallucinations — but to me you need to have a place where you can do that, where it's safe. It's sort of like a steam valve. I don't have to do it in my outside world, I have a place where I can do it in therapy." Another important thing, says Saks is insight. "People have different theories about psychotic symptoms," she says. "Some people think they're just the random firing of neurons that don't have any meaning. But I think they have meaning and that they tell you some truth about your psychological reality. So, when I say I've killed hundreds of thousands of people, it's really an archaic way of saying I feel like a very bad person. But even though it's meaningful in this sense, it doesn't help patients in the moment of the psychotic symptoms that they interpret." Saks believes that extreme and exaggerated ideations are a defense mechanism — which in some circumstances can make a person feel better or safe. Saks closed our conversation by noting that, outside of medications and drugs, it's people who can make the greatest impact. "It's so important to have a benign, smart, caring, non-judgmental person that accepts you — not only for the good — but for also the bad and the ugly," she said, "That is incredibly empowering."